When we bought our first stroller, we were expecting our first daughter and really had no idea what we needed in a stroller. We took my husband’s parents along for advice, but I remember picking the stroller more by its colour and price than any other considerations. Three kids and a lot of strolling later, I had a pretty good idea of what I wanted in a new stroller as I went shopping before Pearl was born. Here are my tips for choosing the right stroller for your family. Do you need a travel system? Many stroller come with car seats in a travel system. The stroller and car seat have matching fabric and the bucket seat clips quickly and easily onto the stroller. While you can get a universal car seat adapter for any stroller, I recommend getting a travel system if you think you’ll be using the stroller a lot with the car. The travel system makes it easier to switch back and forth between stroller and stroller with car seat, while the adapter may mean you can only use the stroller with the car seat. For example, when Sunshine was in Kindergarten, I’d often arrive at the school to pick her up and find that Jade (then a baby) had fallen asleep. I’d be left lugging a heavy car seat through the school to find my older daughter, trying to keep the youngest asleep. A friend of mine always brought her stroller, and loaded her baby car seat and toddler into the stroller while she went to claim her Kindergartener. How easily does it fold up? How small does it fold? This fall, I spent several hours in secondhand kids stores, folding and unfolding strollers. 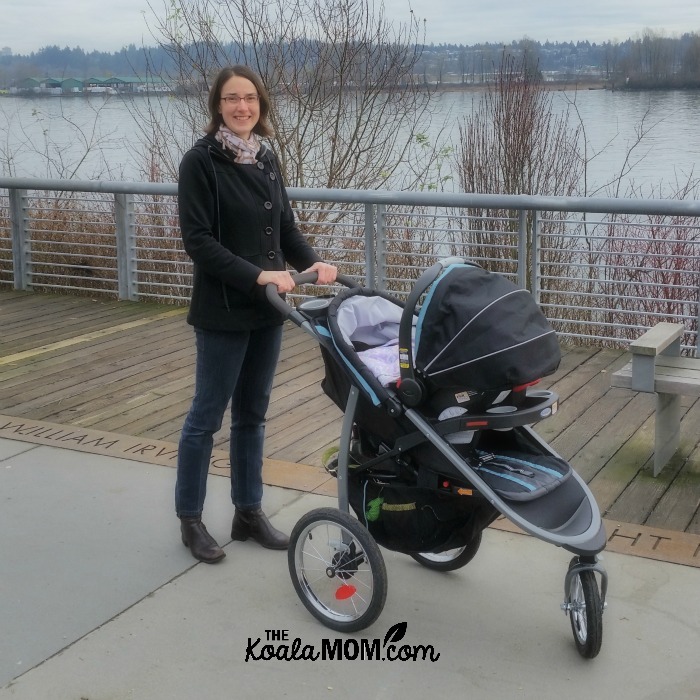 One thing I liked about our first stroller was how easy it was to fold—a simple twist and push on the handle and the stroller dropped into a folded position. Many other strollers are much more complicated, requiring two hands or several locks and latches. Try folding and unfolding any stroller before you buy it and consider how often you’ll be doing this. For example, if you can keep your stroller in the garage or a storage shed and hardly ever fold it, then this might not matter. If, however, you often take it in the vehicle, you’ll want to consider whether you can fold it (or unfold it) with one hand while the other hand holds kids or groceries. You’ll also want to consider how easy it is to carry while folded (especially if you live in an apartment where you’ll be carrying the stroller to and from your door, as we did when Sunshine was born). Think about how small it folds up too and whether it will fit in your vehicle. We ended up getting a small umbrella stroller to use with our Jeep, because our other stroller wouldn’t fit. 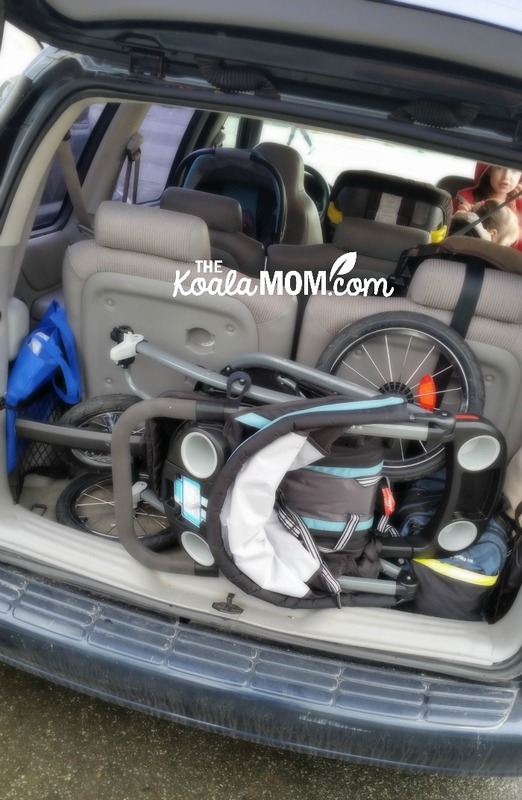 I’ve found that even our Durango and minivan have limited space for strollers when all the seats are up. If you can, ask a store employee to walk out to your vehicle with you to see if the stroller fits in your trunk. When you look at stroller wheels, there are two types of strollers: regular strollers with small wheels and jogging-style strollers with large wheels. Some strollers have small front wheels and large back wheels, but I’d still put them in the first category. I used to think that, since I’m not a jogger, I’d never buy a jogging stroller. However, I’ve come to realize that jogging strollers are more suited for all-terrain type walking, while regular strollers work great around the city. Where do you plan to use your stroller? If you live in an urban environment of pavement and sidewalks and nice weather, then the wheels will likely be a smaller consideration for you. If, however, you live in a rural area, or enjoy hiking in parks, then I recommend looking at jogging-style strollers with larger wheels (both front and back). And if there’s any snow involved, then I suspect large wheels will be better as well. This question again comes down to how you’ll be using your stroller (and possibly how many other kids you have). Some strollers have large baskets underneath or extra pockets around the stroller for taking stuff with you; others (like my umbrella stroller) have limited pockets. Do you need space for a diaper bag? groceries? snacks and toys for older kids? What other accessories are included? Strollers have many accessories to make life easier for parents. These include things like cell phone holders and speakers on newer strollers, cup holders if you like having your coffee or water bottle with you, rain covers if you live in wet environments like Vancouver, snack catchers for the kids, extra seats for older kids, whether the handle is adjustable for taller / shorter parents, etc. Some of these can be purchased after the stroller is and some will come included. Again, think about how you use your stroller. Do you need a single or double? Do you plan to be out in all weather? There are so many strollers on the market these days that the options can get a bit confusing. 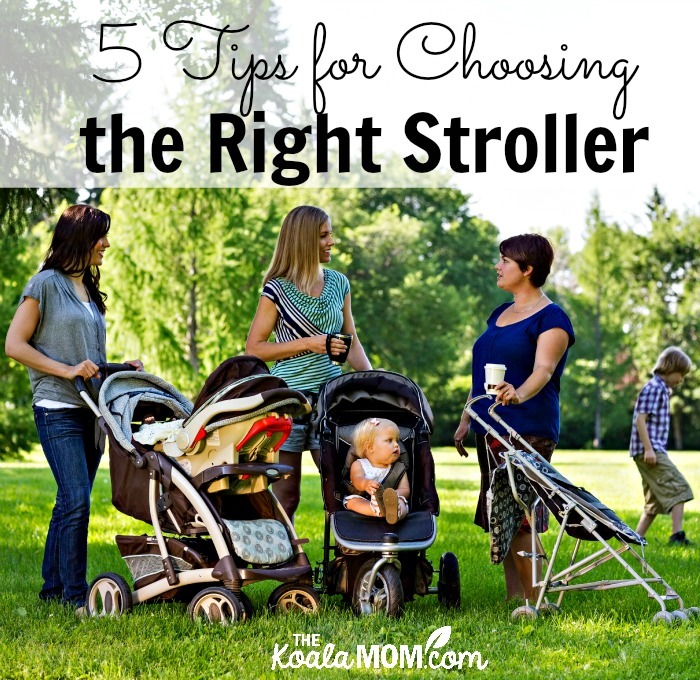 I hope these tips will help you choose the right stroller for your family! I recommend making a list of what you think you need in a stroller. Shop around at several stores and try pushing the stroller and folding / unfolding it. Check out stroller reviews online to see what other parents and stroller users are saying about the stroller. 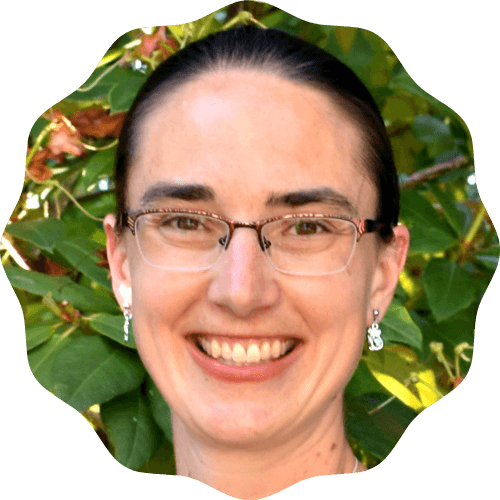 Wanna know what stroller I picked after all my research? It’s actually the same brand as our first stroller—but a differenty style! 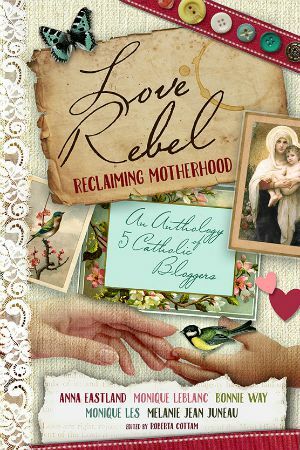 Read the whole review here. What helped you in choosing the right stroller for your family? What did you look for in a stroller? I have 3 different types of strollers. My friends ask me why 3? It’s because I use them according to need. I have an Umbrella, A jogger and a regular stroller. I use to travel a lot so I use umbrella in travel purpose and the jogger for jogging. First of all thank you for sharing these tips & all will be really helpful to the readers. I would like add to the list. 1) Comfort: The stroller should be comfort to the new born. If not, the toddler may cry and this will leave the parents unhappy. 2) Safety: It is very important while selecting a stroller. I read somewhere in the news that a baby boy got fell down due to the pram got collapsed. I feel that the parents should consider the above two points as well while buying a stroller. Also, good advice about the fold: I have a double stroller that I use exclusively for walks around our neighborhood. We keep it in the garage, and I have literally never folded it ha ha! I also chose my first travel system based on the color and the price! Although I continued to love the pattern of the stroller (and the car seat served us well), I opted for a much smaller stroller when my second child was born 🙂 Live & learn! Thanks for the helpful advice.